PRESIDENT Emmerson Mnangagwa clocks 100 days in office next week with his administration struggling to gain the confidence required to stem the cash crisis. 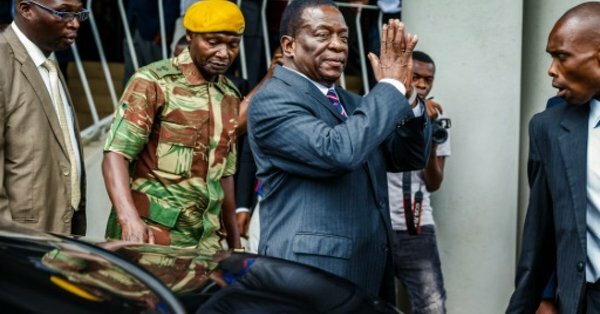 Mnangagwa took over the reins last year after a military-backed operation ousted long-serving leader Robert Mugabe. In his inauguration speech on November 24, Mnangagwa struck the right chord as he promised to open the country for business and removed bottlenecks militating against investments. Standardbusiness looked at Mnangagwa’s successes and failures during the first 90 days. Zimbabwe’s industry is enduring a plethora of challenges such as antiquated machinery and dearth of fresh capital, among others. There is a ray of hope for the recapitalisation of steel giant Zisco as Chinese firm R&F has set in motion plans to invest $1 billion with Mnangagwa’s government having conceded to take on about $500 million of debt owed by the state-owned steelmaker to allow a new investor to come in. Ziscosteel has had an acrimonious past after previous suitors failed to inject the much-needed capital due to political bickering. As part of the National Railways of Zimbabwe and Diaspora Infrastructure Development Group $400 million deal, the NRZ last week received seven mainline locomotives, seven passenger coaches and 157 wagons were commissioned, raising hopes for the resuscitation of the once-thriving railway system. Another giant, Cold Storage Company, is on course to recapitalisation with the National Social Security Authority having poured in at least $20 million. The revival of these former giants will trigger increased output in ancillary industries. In January, duty on petrol was whittled down from $0,45 per litre to $0,385 per litre, with diesel and paraffin duty pegged at $0,33 per litre down from $0,40 per litre. This prompted a decrease in the price of fuel to $1,35, $1,23 and $1,17 per litre for petrol, diesel and paraffin respectively. However, the price of fuel is heading north. Other than the price of meat, prices of other basic commodities are on an upward trend. In his inauguration speech, Mnangagwa vowed to arrest cash shortages in the immediate term something which has turned out to be a pipe-dream. “In the immediate term, the liquidity challenges which have bedevilled the economy must be tackled head-on and must be dealt with as a matter of urgency. People must be able to access their earnings as and when they need them,” he said on November 24. However, cash premiums which had risen to as high as 80% before operation restore legacy have softened to about 40%. “The premium on the USD has declined, prices have fallen back a bit and business confidence is up with reports of increased turnovers, better company results and inflationary pressure easing. But the structural problems remain and until these are addressed, they could derail the whole process and neither the Ministry of Finance nor the Reserve Bank seem to understand this,” economist Eddie Cross said. Mnangagwa also announced a three-month moratorium expiring this month to allow individuals and corporates to return externalised money back to the country. Economist Kipson Gundani said Zimbabwe has gone through economic mayhem for a long time and one cannot expect Mnangagwa to address the mess in 100 days. “Cash is a deep-seated problem that has suffered due to lack of confidence. And it cannot be dealt with overnight,” he said. Critics say the inclusive government resolved the cash crisis overnight in 2009, something the Mnangagwa administration has failed to do illustrating the lack of confidence in the economy. In line with the “Zimbabwe is open for business” mantra, Mnangagwa has undertaken a raft of reforms to lure foreign direct investment by amending the Indigenisation and Economic Empowerment Act to only confine the 51/49 threshold to diamond and platinum sectors. Economist John Robertson said investors need more than promises. “There has been many promises not actually changes. Investors need more than promises but the actual changes in the legislation because promises can be changed anytime. Changes in legislation are prohibiting investors. They need changes to the Act and that should be done now,” he said. Gundani said the most expensive cost is regulatory cost due to high levels of bureaucracy associated with government. Cross said Mnangagwa had managed to confront the indigenisation and 99-year farm leases although there were pending issues pertaining to the two. “From a strictly economic perspective, not a great deal. The central bank recently said the 99-year land leases were now bankable and transferable, but the Commercial Farmers’ Union insists that the document was not attractive to former farmers who fled during the land reform programme. Last month, Mnangagwa appointed an eight-member board led by lawyer Vimbai Nyemba to lead the Procurement Regulatory Authority of Zimbabwe, which will regulate procurement by state entities and local authorities. While in Davos, the President met International Monetary Fund managing director Christine Lagarde and African Development Bank president Akinwumi Adesina. This move has instilled hope that the country was on a path to clear its debts and unlock fresh funding. Mnangagwa enjoys good relations with Britain after meeting a special envoy, Harriet Baldwin, and has hinted on Zimbabwe re-joining the Commonwealth after the country withdrew in 2003 due to diplomatic tensions between Harare and London. Cross said Mnangagwa has changed the dialogue and in doing so putting Zimbabwe back on the map for investment and restore business confidence. Another economist, Clemence Machadu, said Mnangagwa has managed to charm western countries as they were warming out to Zimbabwe. “You will also realise that even Zimbabwe’s foreign policy has changed and our bilateral relations with some western nations are thawing. Our international perception is also improving,” he said. The fight against corruption has seen former ministers Walter Mzembi and Samuel Undenge being arraigned before the courts. Analysts say the ant-corruption dragnet has to be cast wider and not target a few selected individuals persecuted on political grounds. Machadu the fight against corruption is one area which needs to be addressed as the scourge has become entrenched with the perpetrators becoming smarter and smarter by the day. “Our systems designed to fight corruption should be strengthened and modernised.